As a kid, my tabletops were limited to Monopoly and Clue. My parents kept it simple. Looking back, I appreciate the experience and patience my parents bestowed upon my brother and I. My daughter is coming to the age where I may be able to muster the same amount of patience, but I know the classics won’t pull her interest. Every year Table Top Day comes and goes and even though I plan to attend an event at my LCS, I always forget. Good thing there are plenty of articles in the WWAC tabletops archives to give me a starting point. If you’re a complete newbie, like me, be sure to give them a read. Enjoy! Hi Tanya! Thanks for agreeing to this interview. Could you tell me a little about I Need Diverse Games? 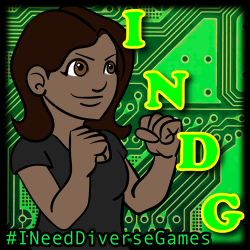 Tanya: So, #INeedDiverseGames started off with a few tweets on October 7, 2015 with that hashtag. Thanks to some friends retweeting, especially Mikki Kendall (@karnythia)—who has over 37K followers—it began to trend on Twitter. From there, I asked folks if I should make a blog, it’s own Twitter, etc. After a resounding “yes,” a community began to form, and because I’m ornery, I used the anger from being harassed as fuel to keep going. So, now we’re a community with the following as our mission statement; our purpose can be found here. And Emily! Thanks for talking to me again. Could you tell me a little about OMG – Our Many Games? Halloween is on a Saturday this year, and while some people will don their costumes and head out to the bars, others of us are looking for something a little quieter, but still fun. I’ve reviewed a few creepy games before, but here are fifteen RPGs you can play with friends this Halloween, with options for all levels of familiarity with role playing and levels of horror! You’re the self-loathing servant of a master villain, who commands you to help his evil plans. Will you resist his evil machinations and join up with the townspeople to destroy him—or will weakness compel you to carry out his vile wishes? You and your friends can hunt down monsters just like your favorite TV shows! Pick an Archetype, and the Keeper (the person who runs the game) will make a suitable monster for you to fight. Will it be vampires this week? Chupacabras? Play to find out! Monsters are real—and you’re just a kid! But that doesn’t you’re powerless, as in this game you play children who have the power of Belief, a kind of magic you can use to take down the Monster Under the Bed, the Closet Monster, and more! Instead of being the kids fighting monsters, in this game you’re the cats protecting your owners from the monsters they can’t see. Intended for adults and children alike, you can play out all your best Cat’s Eye dreams. 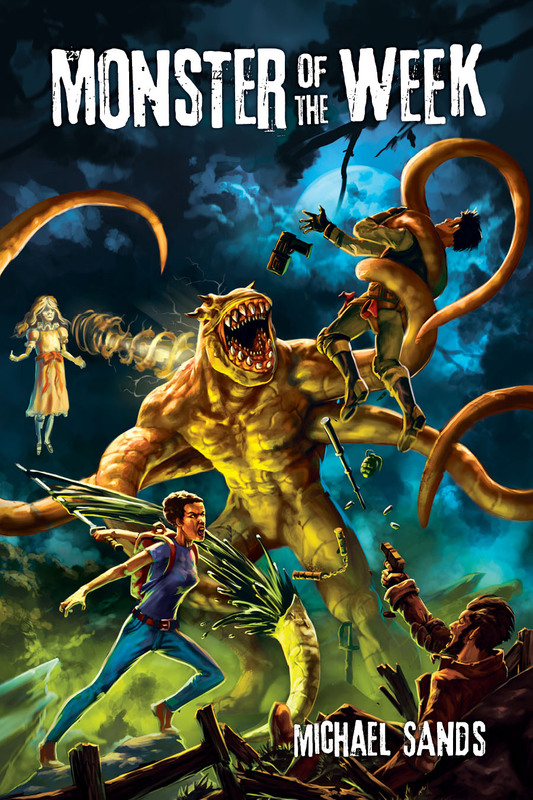 Tell your own Lovecraft-inspired story in this GM-less game. Cosmic horror and terrifying elder gods can show up just about anywhere—much to the dismay of your Witness.